President Muhammadu Buhari who received the outgoing British High Commissioner to Nigeria, His Excellency, Paul Arkwright, in a farewell audience at State House, Abuja, stated that he wished his predecessors fixed the infrastructure when they were in power. “With the humongous resources at the disposal of Nigeria between 1999 and 2014, it is sad that infrastructure went to rot completely within the same period’. The outgoing British High Commissioner on his own part said he found Nigerians quite enterprising and engaging, adding that the British government would be glad to offer a helping hand as required in any part of the country. 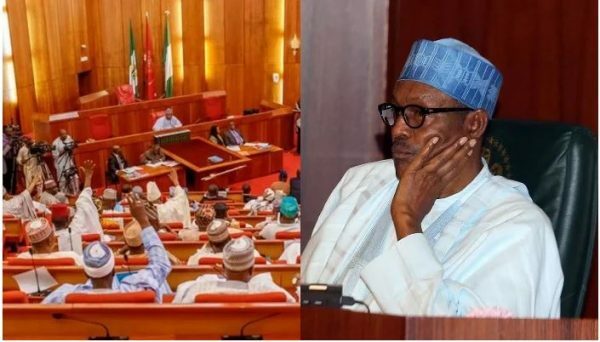 The post “How I Wish We Fixed Infrastructure When We Had Money” – President Buhari appeared first on LATEST NIGERIAN NEWS BREAKING HEADLINES NEWSPAPERS.